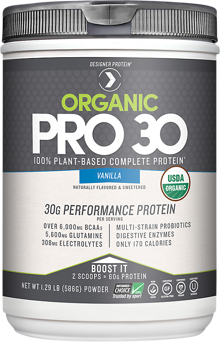 Ingredients: DP Performance Protein Blend (Organic Pea Protein, Organic Sprouted Rice Protein, Protease Enzymes), Organic Alkalized Cocoa, DP Fiber Complex [Organic Prebiotic Acacia Fiber, Organic Guar Gum, Probiotics (L. Acidophilus, B. Longum, L. Plantarum)], DP Refuel and Recovery Blend [Organic Cane Sugar, Organic Acerola, Organic Green Tea (EGCG Extract)], Natural Chocolate Flavor, DP Performance and Electrolyte Extracts (Organic Baobab Extract, Organic Turmeric, Organic Spirulina, Organic Moringa Leaf Extract, Organic Ginger Root Extract, Organic Mangosteen Extract), Organic Stevia Leaf Extract, Monk Fruit. Mix one scoop with 8 oz unsweetened almond milk or your favorite non-dairy beverage and shake well. Alternatively, blend with Greek Yogurt and Fruits or Veggies for a great-tasting smoothie. This product is packed by weight and not volume. Some settling may have occurred during transportation. Keep out of direct sunlight and store in a cool, dark place. 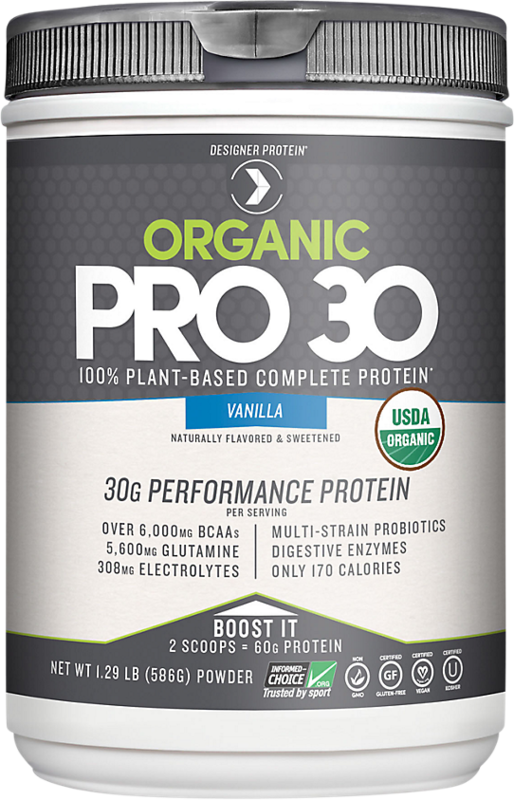 Ingredients: DP Performance Protein Blend (Organic Pea Protein, Organic Sprouted Rice Protein, Protease Enzymes), DP Fiber Complex [Organic Prebiotic Acacia Fiber, Organic Guar Gum, Probiotics (L. Acidophilus, B. Longum, L. Plantarum)], DP Refuel and Recovery Blend [Organic Cane Sugar, Organic Acerola, Organic Green Tea (EGCG Extract)], Natural Flavor, DP Performance and Electrolyte Extracts (Organic Baobab Extract, Organic Turmeric, Organic Spirulina, Organic Moringa Leaf Extract, Organic Ginger Root Extract, Organic Mangosteen Extract), Organic Stevia Leaf Extract, Organic Vanilla Beans Monk Fruit. Manufactured in a facility that also produces Soy, Milk, Coconut, Egg and Fish products. Performance Protein Blend (Organic Pea Protein, Organic Sprouted Rice Protein, Protease Enzymes), Organic Alkalized Cocoa, Fiber Complex [Organic Acacia Fiber, Organic Guar Gum, Probiotics (L. Acidophilus, B. Longum, L. Plantarum)], Refuel and Recovery Blend [Organic Cane Sugar, Organic Acerola, Organic Green Tea (EGCG Extract), Organic Turmeric, Organic Ginger Root], Natural Chocolate Flavor, Performance and Electrolyte Extracts (Organic Baobab Extract, Organic Spirulina, Organic Moringa Leaf Extract), Organic Stevia Leaf Extract, Natural Monk Fruit Flavor. Add 1 heaping scoop to 8 oz of cold water or milk (skim or non-dairy). Shake & Enjoy. Do not use in diets supplying less than 400 calories per day without medical supervision. Keep out of direct sunlight and store in a cool, dark place.